BGD’s Crush of the Month is a feature where we choose the most swoon-worthy and inspirational QTPoC whose work and flair has left us inspired and blushing. Then we interview them so our amazing readers can join us in crushing, fanning, and absolutely swooning over these amazing QTs. All of our crushes are amazing, but this month we have something special in store! Hailed by Dr. Cornel West and Dr. Angela Y. Davis, this month’s crush has performed alongside Alicia Keys and Erykah Badu. They’ve released a book, music, and have traveled the world to perform their poetry and art. This month’s Crush is the duo Climbing PoeTree! 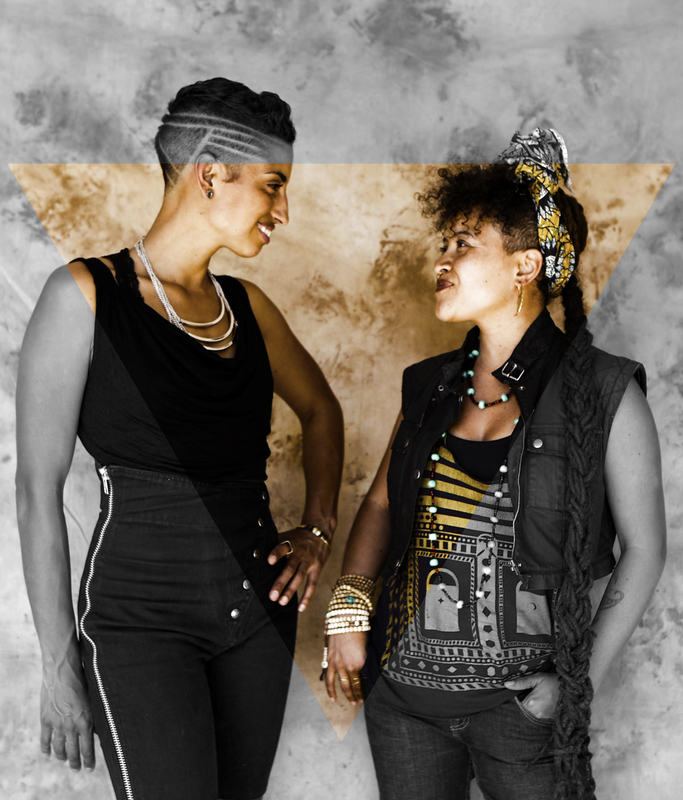 Made up of Alixa and Naima, the duo speaks with thunder and fire and has received praise the world over. Their work a display of the power of the word. Has it gotten hot in here, or is it just us? Without further ado, here’s Climbing PoeTree! Princess: A lot of marginalized folks are only now starting to find their voices and feel less afraid in coming forward with their art (whatever it may be). So how did you two, both individually and as a duo, come to find your voices? Did the artistry come naturally? Alixa: We have both been artists since we were very young, and also grew up with an incredible love for humanity and the natural world. When we first met, we were doing poetry in our respective communities, and organizing against the War on Drugs, in NYC and abroad in my homeland of Colombia. When we got to talking, we quickly realized that the two faces of the war on drugs was impacting our communities in very different, yet parallel ways. Folks were being displaced whether through aerial fumigations because of U.S. backed Plan Colombia, or through the abduction of family members from predominantly Black and poor urban neighborhoods. I saw the poisoning of land in Putumayo, while Naima saw the crowding of prisons in the US. We both witnessed the impacts of state violence and who in the end was being targeted. It became imperative to use whatever tool we had to tell the stories from the communities we belong to and are accountable to that went missing or mangled in mainstream media. For us it was poetry. Within 6 months of knowing each other we started organizing a 6 month national tour with a poetic theater production to tell the stories of 2 mothers who lost children to the War on Drugs. One due to poisoning through the fumigations, and the other through incarceration. The 45 minute piece was in rhyme, and when our stories would parallel we would speak at the same time. Climbing PoeTree was born. 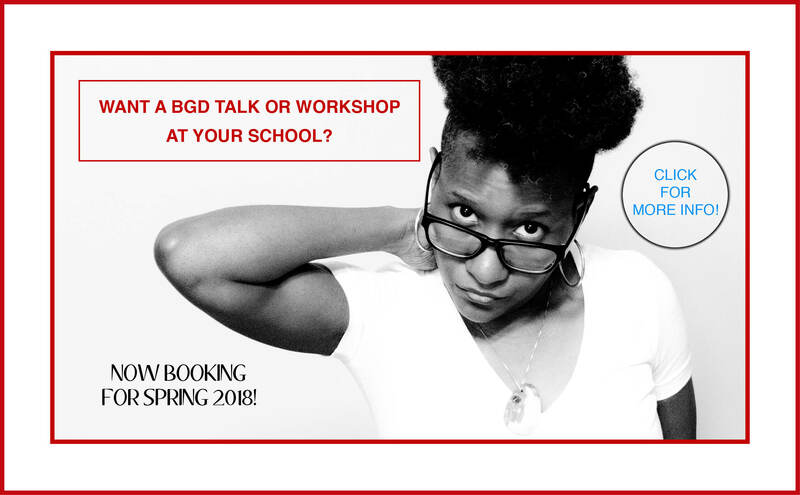 On that journey between big cities and small towns we saw, first hand, the power of art to ignite inquiry, challenge complacency, inspire commitment, get people woke. Art goes straight to the heart. It’s one of the most potent tools we have to dissolve deception and awaken new vision for the change we know is unquestionably necessary and absolutely possible. Princess: With liberation and the desire for it seeming to be a cornerstone of your work, and in the context of a world that’s undergoing shifts in power, would you be able to tell us what you do in an effort to gain personal freedom? What kind of self-care you do or what sort of rebellion against the power structures you perform for yourselves (beyond the art)? Naima: For me, personal liberation looks like being in an active state of gratitude amid a consumer culture that preys on deficiency; tending connections and nurturing relationships that nourish me; slowing down in the midst of exponential acceleration of modernity to be present to the beauty all around me; spending time in wild spaces and getting clues from nature on how to grow and move and be in relationship; training physically, and getting on my mat and the dance floor regularly; going out of my way to show kindness to strangers; practicing interdependence in defiance of capitalism; resisting the pharmaceutical industry by concocting my own plant medicine; giving generously in resistance to scarcity; and practicing magic consistently! Princess: Shifting towards the romantic part of our interview, I’ll start off with something light! What would be your ideal romantic outings? Alixa: Take me to nature and you will have my attention, add some candles and intentionality, and you just might have my heart. Princess: There are people who talk about liberation and social justice and similar concepts who don’t really apply them to their relationships (romantic or otherwise) out of fear of alienating partners, family, or friends. Do you apply these concepts to your relationships and what does that look like for the two of you? Naima: Every relationship we enter is an opportunity to enact justice and a site of potential liberation. Injustice and oppression, after all, are a series of bad relationships on a systemic scale: devaluing, abusing or exploiting others. Applying a liberatory framework to my intimate relationships looks like being in balance and reciprocity, and moving from reverence and unconditional kindness. It looks like practicing clear communication, transparency and consent. We get to notice what privileges and past histories create power dynamics inside the relationship; to be upfront about our patterns and work to hold power with, instead of vying for power over, one another. We can gradually subvert patriarchy by valuing and sharing the tasks of wage earning, housework, and raising children equally rather than dividing them according to gender roles. Inside my partnerships, I strive toward non-possessiveness, celebrating my beloved’s passions and pursuits, and connections with other people. When I make love I pray for the healing of past sexual trauma, for liberatory ecstasy to expand our capacity for experiencing pleasure, to know that we are sacred. Princess: I feel like love is one of the highest forms of art. For our last question, what does true love – it doesn’t need to be romantic – look like for you? How does reciprocity of this love take shape for you? Naima: True love is unconditional love. It is the practice of seeing another and allowing ourselves to be fully seen – our souls exposed from behind the layers of protection and armour and posturing and facades and decades of dust and disbelief that we are enough, exactly as we are, and worthy of love. True love is the joy of bringing another to joy, with no attachment to outcome or return, but the pure pleasure of watering someone’s garden and rejoicing when it blooms. True love is when your heart expands to contain the magnitude of love another grows inside of you. For me, reciprocity of this love takes shape when Alixa and I share our poems with folks who feel like their own hearts are expressed in the listening; drawing myself a bath with rose and salt and candle light and hearing my own heart; the quiet moments gathering stones for a fire pit and free-style singing and rhyming around its flames with friends a season later; receiving handwritten letters on brown paper from my friend 3000 miles away; coming home from weeks on tour and having my fridge stocked with home-cooked goodness from my neighbor; collecting written testaments of appreciation from my beloved’s fam and friends and pasting the words one by one into a collage of a sunrise over an ocean; climbing up the fire escape to the rooftop on a summer night with my sweetheart to snuggle under the stars, existing inside of an endless flow of intention and generosity to spin more magic into each others lives. Princess Harmony is a nerd, writer, and happy little loser. She enjoys anime, video games, fashion, and cute things. Also, if you feed her snacks, she gets real happy. She’s also available as a consultant on matters of race, transgender identity, and all things anime.